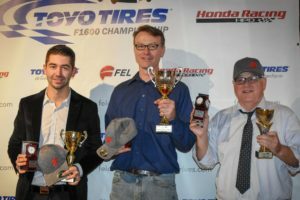 The Toyo Tires F1600 Championship recently held its series Social to acknowledge champions, distribute awards and recognize others from the series prior to closing out its 2018 campaign. 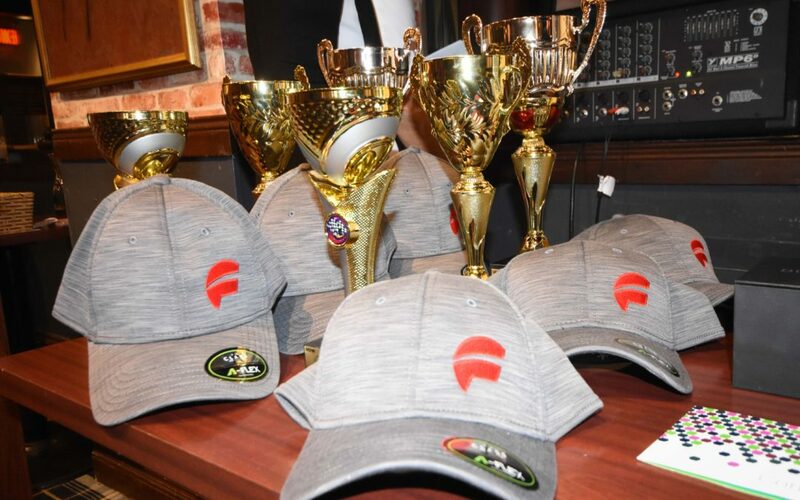 Held once again at the Granite Brewery in midtown Toronto, this year’s event attracted drivers, crew and supporters, which brought a spirited end to a fantastic season. Kellen Ritter joined the Toyo Tires F1600 Championship from North Vancouver, teaming up with Exclusive Autosport for his rookie year. 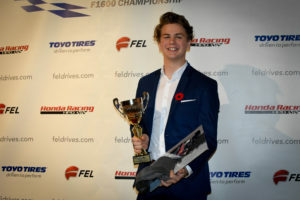 He was on hand in Toronto to receive his FEL – Automotive Learning + Promotion/ HPD – Honda Performance Development A Class Championship Award, along with the Rookie-of-the-Year and Most Poles Awards. Ritter raced to 9 poles, 9 wins and 16 podium finishes in 18 starts. 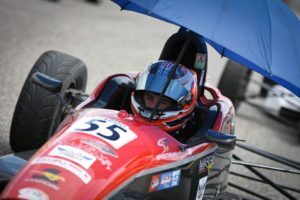 As Series’ Champion, he was also the recipient of the Mazda Road to Indy Shootout Ticket and will represent the Toyo Tires F1600 Championship Series next month. 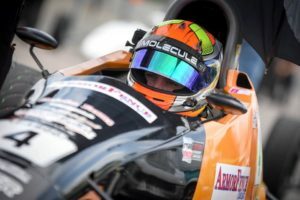 Ritter, along with 17 other champions from around the world, will be chasing a $200,000 prize from Mazda and a spot on the grid in the 2019 Cooper Tires USF2000 Championship. An outstanding rookie to the series, Jake Craig from Mission Viejo, California, was the model of consistency for Brian Graham Racing. After being knocked from a podium spot in the first race of the year, he then reeled off 11 straight podium results, and 16 in the final 17 starts! He was on pole ahead of the largest field of the season at CTMP, scored a pair of wins at Shannonville and another at Calabogie en route to a runner-up finish in the A Class championship. 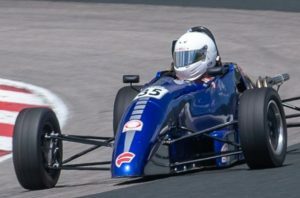 His efforts were also noticed back home, and following the season Craig headed to England to represent the USA at both the Formula Ford Festival and the Walter Hayes Trophy Races. Representing him fresh from the first British event himself, Brian Graham accepted Craig’s award. Spike Kohlbecker is our 3rd Toyo Tires F1600 Championship Series rookie to be recognized. Also pitting under the Exclusive Autosport banner for the 2018 campaign, the American teenager from St. Louis, Missouri, was a welcome addition to the paddock and quickly made a name for himself North of the border. He raced from P8 to the podium in his first race, scored a win in the second race weekend and put it on pole at the third CTMP event! Kohlbecker was a strong contender all season long, producing 14 top-five results, 7 podium finishes and 2 wins – including the 2018 season finale. For the second year in succession, the FEL – Automotive Learning + Promotion sponsored B Class Champion was Graham Lobban. The veteran has now put together back-to-back titles, this year’s based on absolutely dominating the summer season. 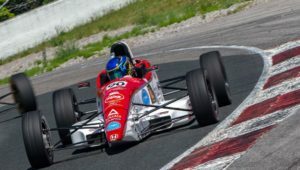 Beginning from pole position in July, Lobban reeled off nine straight wins in a streak that ran through Shannonville Motorsport Park, Canadian Tire Motorsport Park and Calabogie Motorsports Park! Added to a triple-podium outing to start the season and another pair in June, Lobban had the title sewn up heading to the final round in September. Strong running also led to a lot of wheel-to-wheel action with A Class cars, and that was noted as well when Lobban was awarded the MK Technologies Hard Charger Award! 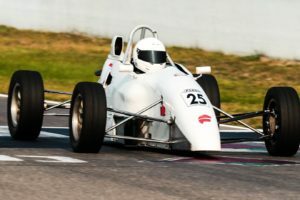 James Lindsay arrived in the Toyo Tires F1600 Championship a year ago and promptly earned Rookie-of-the-Year honours at the wheel of his pristinely presented 1991 Van Diemen. He and ‘Roxanne’ were back in full force this year, and Lindsay added an even 100 points to his total from 2017 in securing the runner-up spot in the B class. He was on the podium 14 times this season, including the third step all three races at the opener and the second step all three races at the finale. Lindsay now has six consecutive second-place results at Canadian Tire Motorsport Park, so he’s got one more step to make, both in a race and in the championship. Since earning the championship in C class during the last year of its existence, Mike Lee has always been looking for new challenges. 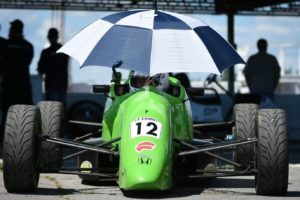 He’s raced his famed Lola in A class, and raced in the B class seven times, the last two years in a new-to-him ‘92 Van Diemen, another new challenge. This year Lee earned his second-consecutive P3 finish after scoring four podium results and fourteen top-fives in the FEL – Automotive Learning + Promotion sponsored class. The veteran raised his point total from a year ago and continued to enjoy his time in the paddock as much as ever.